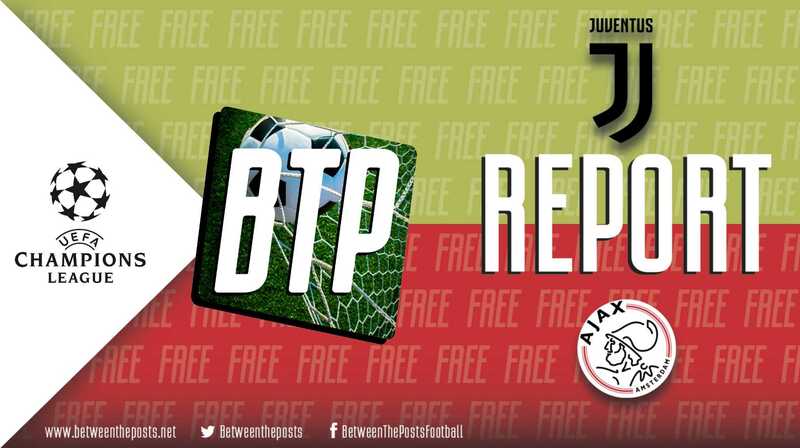 After a close and well-fought first-half, Ajax’s terrific front four caused chaos in the Juventus defense with silky passing sequences, resistance to any sort of press against them and an amazing ability to create and exploit space, leading to their first Champions League semi final since 1997. 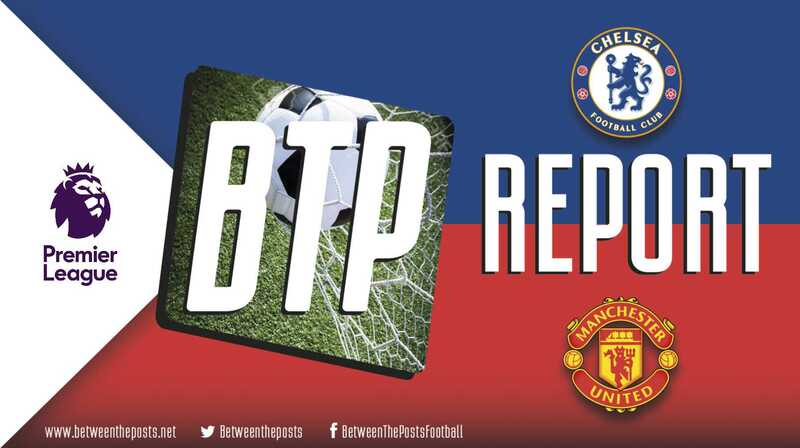 Tactical analysis and match report by Joel Parker. A match between The Netherlands and Italy’s finest is always eagerly anticipated by football fans across the globe. Both teams offer a beautiful clash of styles. Ajax’ free-flowing, ball-orientated, pass-and-press machine versus Juventus’ imperious defensive unit, well capable of adapting and grinding out a result – not to mention being spearheaded by one of the greatest goal-scorers the world has ever known. Ajax travelled to Turin in similar fashion to their second leg in Madrid, away goals rule going against them, labelled as the underdogs and going up against one of the favorites to lift the trophy in the Wanda Metropolitano. The rotation in the Juventus lineup, during their 2-1 defeat to SPAL at the weekend – where they could have secured the Serie A title – was evidence of how much Juventus valued this quarter-final tie – a total of ten changes to the starting lineup! The first leg was a fantastic tactical display, an intense and organized counterpress led to Ajax producing plenty of opportunities, which could have made it a cricket score. However, Juventus remained compact off the ball, transitioning into a 4-4-2 shape and would, arguably, leave Amsterdam the happier of the two sides. Neither team changed their starting formations, but Massimiliano Allegri would make a few personnel changes in his 4-3-3 system, Rodrigo Bentancur and João Cancelo were replaced by Emre Can and Mattia De Sciglio. Allegri’s most intriguing change would be upfront; Mario Mandžukić was a key component at the Johan Cruyff ArenA, trying to limit Frenkie de Jong’s influence in the buildup as much as possible. Due to his injury, Paulo Dybala would come in to wear the captain’s armband. Erik ten Hag had no reason to switch Ajax’s usual 4-2-3-1 formation, which has been very effective throughout the course of the season. He made just one change to the Ajax team, suspended left back Nicolás Tagliafico being replaced by nominal right back Noussair Mazraoui, with Joël Veltman filling in on the right. Juventus enjoyed early spells of possession, looking the much more comfortable of the two teams. Allegri’s team took a much more offensive approach in comparison to a week ago, setting a high line and covering as much space as possible. In Amsterdam, Juventus left it up to the striker to cover Frenkie de Jong and retreated the rest of the team in a more compact defensive block. Here in Turin, Miralem Pjanić and Blaise Matuidi pushed up to man-mark Ajax’s double pivot of Lasse Schöne and Frenkie de Jong, at least one of whom always drops between the two center-backs when Andre Onana has the ball in goal. Striker Paulo Dybala pushed through on Ajax’ centre-backs, putting Ajax under intense pressure early on. Juventus’ midfielders move and man-mark Ajax’s double pivot from kickoffs. Doing this stopped Ajax’s sharp and slick passing sequences for the meantime, not having a sniff of the final third in the first twenty minutes of play. Juventus may not have had a direct shot at goal, but they had control and their pressing play was effective. On the ball, Juventus were less impressive. With a huge amount of space between the defensive and midfield lines, they looked unbalanced and failed to materialize a high amount of passing moves. Instead, they looked to hit it long and utilize the physical advantage they had on the Ajax defense. In an attempt to get into good crossing positions, Allegri’s team looked to overload and isolate Ajax’s fullbacks, in particular left-back Daley Sinkgraven, who had replaced Mazraoui due to injury after just eleven minutes. Juventus would put multiple numbers on the left-flank, before switching out to the opposite channel, giving Mattia De Sciglio or Federico Bernardeschi possession in space. However, Ajax remained organized and stayed in their defensive shape. Donny van de Beek’s positioning was an essential part to the system, dropping back with de Jong and Schöne to create a 4-5-1 formation off the ball. Whenever a back pass was made, the entire team would move up and press the space. Dušan Tadić would position himself in-between the two center-backs, whilst wingers David Neres and Hakim Ziyech would target the center-back if they had the ball, a similar pressing setup which was seen against Real Madrid. Ajax retained their shape and focused on drifting side to the ball-side, stopping Juventus making progress on the wide channels. When a Juventus player switched the play onto the other channel, Ajax would adjust and drift to cover the space. This stopped chances being created from open play, and more importantly, it denied Cristiano Ronaldo from being a threat in the penalty area. Ajax’s defensive structure had one flaw, if Sinkgraven was beaten, Daley Blind could be pulled out of position, creating space behind him and a great shooting position opening up. Somehow, this was not exploited, but it would still be Juventus to draw first blood. A great corner kick taken by Pjanić was met by Cristiano Ronaldo – who else – heading the ball home to score his 65th goal in the Champions League knockout stages! Just six minutes after the opener, Ajax would equalize from their first scoring opportunity. Ziyech’s shot from his weaker foot was so poorly hit that it played through Donny van de Beek, who was onside and through against the goalkeeper. A bit of a random sequence, but still a deserved goal in an even first half. As the second half progressed, Ajax began to dominate, and Juventus struggled to keep up. With such a disconnect between the Juventus lines, it was the first time in the match that we started to see Erik ten Hag’s 2-2-5-1 / 2-2-6 attacking structure come into play; the results were devastating. The defensive line stayed compact, but there was room on both flanks for Neres and Ziyech to exploit and make cut-backs for Tadić or van de Beek in better shooting positions. Passing lanes were open for Frenkie de Jong and Lasse Schöne to play forward and feed the attacking four and Ajax would start to build chances. Van de Beek’s effort from just outside the box was tipped over by Wojciech Szczęsny, whilst a beautiful move on the counter was created soon after – Neres playing through Tadić who was one-versus-one with the goalkeeper. His pass to try and give Hakim Ziyech an open goal was cleared by a recovering Miralem Pjanić, a huge let off for Juventus. They had totally changed the course of the match, the front four constantly moving in and out, between the lines, particularly between both van de Beek and Tadić whose constant switching pulled Juventus defenders out of position. Ajax’s pressure finally paid off in the 67th minute. Matthijs de Ligt’s bullet header from a corner found the back of the net and not only gave Ajax the lead on aggregate score, but also meant Juventus had to score two more. What followed was some of the most beautiful passing moves football has witnessed. One-touch, two-touch, passing triangles being created within seconds and the rotations between Ajax players were mesmerizing to watch. Words simply do not do it justice. It was incredible how Ajax, somehow, did not score four or even five with the amount of sequences they had built. The only hope for Juventus was to keep on crossing into the penalty area and aiming for Ronaldo at the back post, which was very easily dealt with by De Ligt and Blind in the penalty area. The visitors continued to dictate, despite a short-lived surge from Juventus with a few minutes on the clock left. Ajax held strong, recording their first Champions League victory over Juventus since the 1972/73 European Cup final and claiming a place in the Champions League semi finals for the first time in twenty-two years. The long, long wait for Juventus to grab that Champions League trophy continues for another year at least. For a manager who is quite flexible, it was the first time Massimiliano Allegri looked quite inept and unsure what to do. When you have Cristiano Ronaldo in your team, anything is possible, but you are certainly not getting the best out of him if your number one tactic is to cross it to the point that the offense gets predictable. For a team which has always had talent and skill to beat anyone on their day, it was very disappointing to see Juventus not having a more varied plan to creating chances. Ajax did not just beat Juventus, or Real Madrid, they totally outplayed both of them and were comfortable when being rapidly pressed with twenty minutes left to play. Their passing combinations and swagger in the final third have made them one of the most threatening teams left in the competition. After such a long time, Dutch football seems to be oozing back into the giant it once was, but who is to say where Ajax’s quest for glory will end? If you like this article, please consider a membership of Between the Posts. 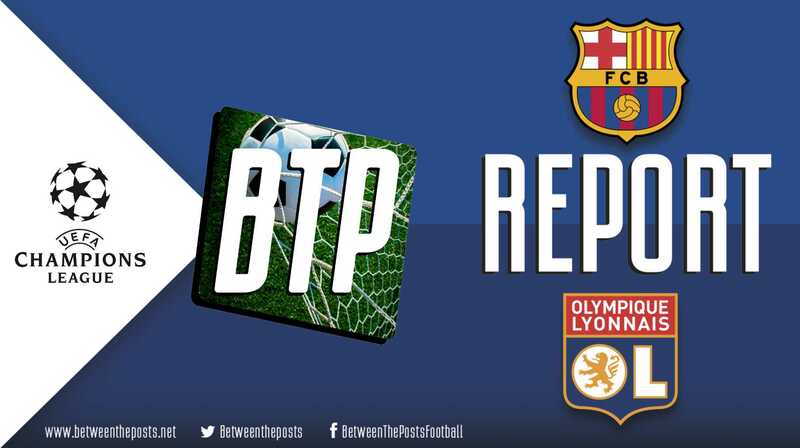 This will grant you access to all our coverage of the top five leagues and the Champions League. Members will also get to explore our advanced team stats page. Finally, members are encouraged to post comments and interact with our writers. I can remember multiple times when Cristiano denied progression of Sandro/Matiudi by dropping to their zone and thus preventing himself as progression targer. Passmaps and expected goals plots will be added as soon as possible, most likely on Thursday morning.